The special master Barbara Jones issued her latest report on the review of the documents obtained in the April raids of the home, office, and hotel room of President Donald Trump’s longtime lawyer Michael Cohen. Jones, a retired federal judge, said that virtually none of the documents she had sifted through so far were covered by attorney-client privilege. That means almost everything could be used in a potential prosecution of Cohen by the government. 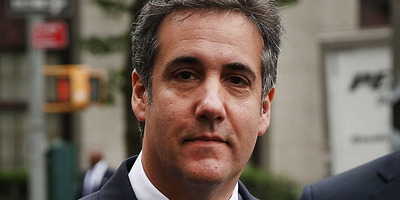 The special master reviewing the files obtained by the government during the FBI’s April raids of the home, office, and hotel room of Michael Cohen, President Donald Trump’s longtime lawyer, found that almost none of what she had looked over so far is protected by attorney-client privilege. That means almost all of the documents could be used in a potential prosecution by prosecutors from the US Attorney’s Office for the Southern District of New York, where Cohen is the focus of a criminal investigation into whether he violated campaign-finance laws or committed bank fraud. Just 162 of the roughly 300,000 documents she has reviewed so far fall under the privilege designations she laid out in a May court filing. Of 639 paper documents, 14 fall under the guidelines. Of the 291,770 electronic files, 148 are privileged. That means Jones, a retired federal judge, has assessed that less than 0.1% of the documents reviewed so far are privileged. In addition, Jones said she disagreed with Cohen, Trump, and the Trump Organisation on three items over which they claimed privilege. On Thursday, Wood issued an order saying that any objections to Jones’ determinations must be filed within a week of her review. Jones has yet to finish her review of all the documents. Cohen, Trump, and the Trump Organisation have so far reviewed roughly 1.3 million documents obtained by the FBI in the raids. Cohen’s attorneys said during a hearing before Wood last week that there were roughly 2.4 million more to sift through. In that hearing, Wood said their review was going too slowly and ordered them to have it completed by June 15. Cohen’s lawyers had argued for a mid-July completion date. If Cohen’s team can’t finish reviewing the documents to make privilege designations by June 15, Wood might turn the rest over to a “taint team” of government prosecutors to finish the review, she said. That team would be walled off from those who might prosecute Cohen. That’s exactly the option Cohen and Trump didn’t want to have happen. Cohen’s team successfully argued in April to have a special master appointed to oversee the document review. Wood agreed to do so on one condition: that the review wouldn’t take any longer than it would if it were being handled by the taint team.